HBase in Action has all the knowledge you need to design, build, and run applications using HBase. First, it introduces you to the fundamentals of distributed systems and large scale data handling. Then, you'll explore real-world applications and code samples with just enough theory to understand the practical techniques. You'll see how to build applications with HBase and take advantage of the MapReduce processing framework. And along the way you'll learn patterns and best practices. HBase is a NoSQL storage system designed for fast, random access to large volumes of data. It runs on commodity hardware and scales smoothly from modest datasets to billions of rows and millions of columns. 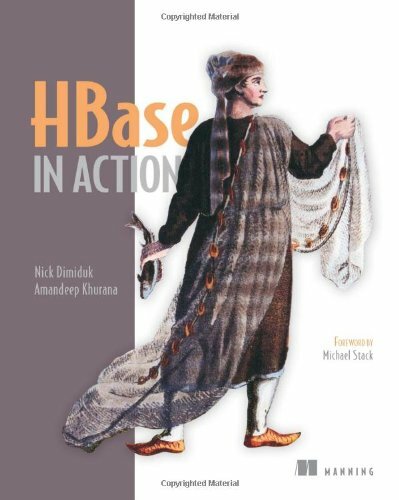 HBase in Action is an experience-driven guide that shows you how to design, build, and run applications using HBase. First, it introduces you to the fundamentals of handling big data. Then, you'll explore HBase with the help of real applications and code samples and with just enough theory to back up the practical techniques. You'll take advantage of the MapReduce processing framework and benefit from seeing HBase best practices in action. Written for developers and architects familiar with data storage and processing. No prior knowledge of HBase, Hadoop, or MapReduce is required.